Abstract: Airwheel electric scooter has attracted thousands and millions of riders since it first debuted on scooter market. With the growing number of senior citizens, their daily travel will be a problem. 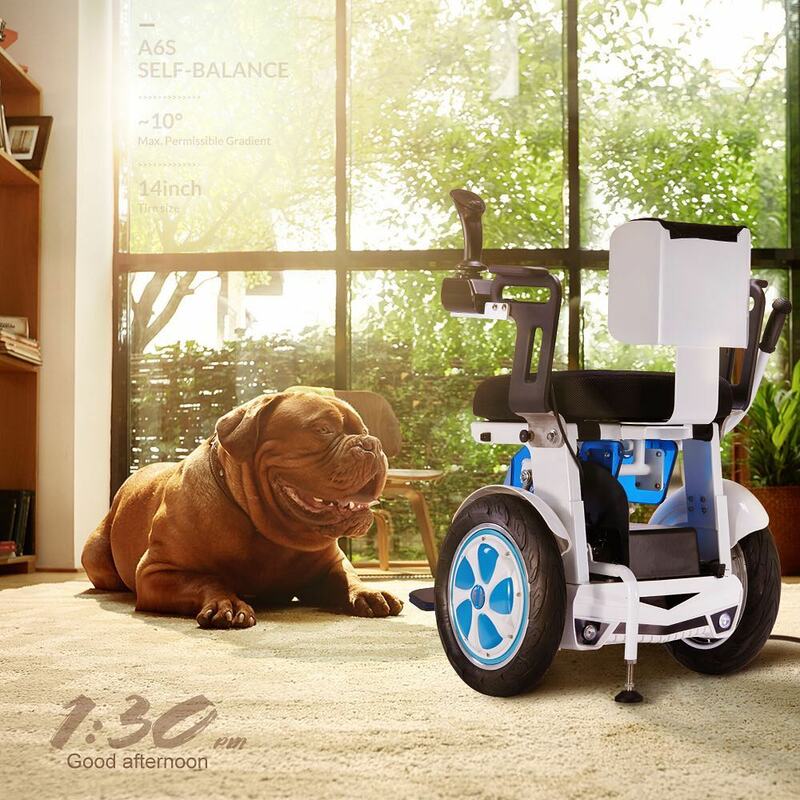 Considering this, Airwheel released A6S power chair for them. For the retired persons, this retirement is in a more purposeful manner. Spend the time restoring the hobbies that were halted for the sake of life's daily affair. Your hobbies may provide benefits to other as well. As such participating with you in riding, gardening, singing, dancing, teaching and all other activities. Some are fond of Airwheel because of the speed, thrills and challenges and some love Airwheel for the biggest reason- body building and riding comforts. The old are more likely to ride A6S motorized wheelchair for fun since riding it is comfortable and easy to control. Truthfully, riding comfort is the ever-lasting pursuit of Airwheel design and it is reflected in many product details. Airwheel A6S smart wheelchair has successfully attracted many riders for improved riding comforts. It is labor-saving and easy-to-handle. Compared with traditional wheelchairs, riders can keep a comfortable riding posture due to the optimized design in accordance with human engineering. In sitting posture, riders are able to look at the front horizontally, keeping a good physical and mental state at the same time. After sitting a long time, they may feel tired, they can get off and alter the electric mode to manual mode. Its handlebar can be placed in the right or left side according to riders' habits. Airwheel A6S foldable electric wheelchair's seat made of double honeycomb mesh breathable material, is wear-proof and durable. The longer you sit, the more comfortable you feel. Riders are on longer need to worry about the exhaustive riding experience caused by long-distance travels. Retirement surely discovers the true happiness with your grandchildren and rekindles the romance of the age long relationship with your partner. If you wish your tomorrow be the beginning of a new success story and adventure, it will depend on the way you spend it today. Now, take Airwheel A6S electric wheelchair to enjoy the beautiful outdoor views.